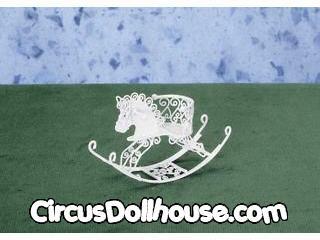 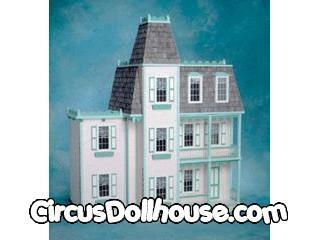 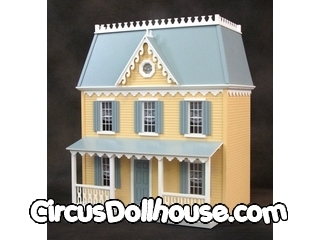 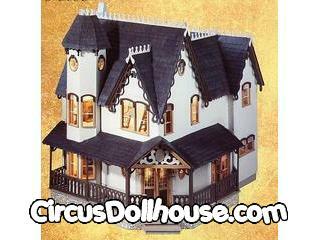 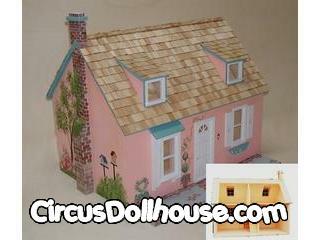 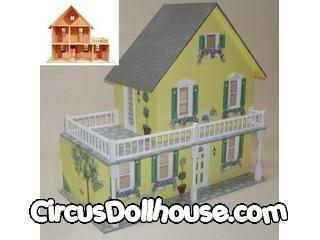 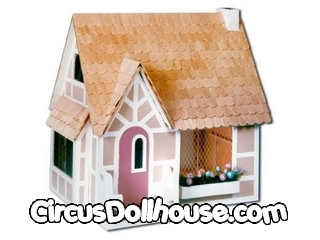 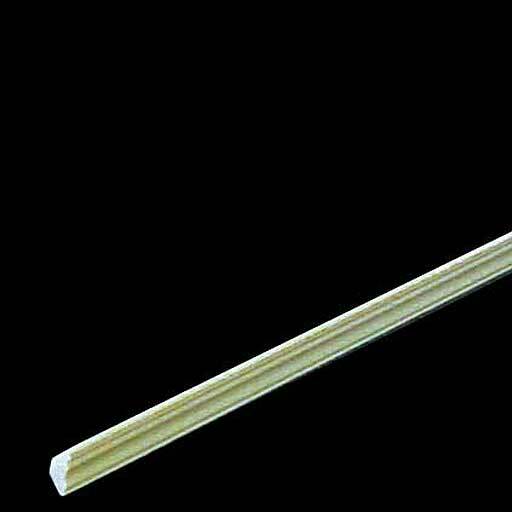 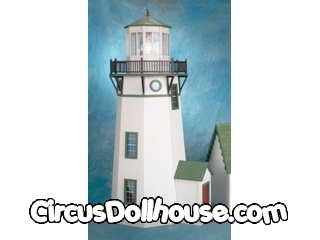 Categories: Dollhouses, Dollhouses - Kits, Laser Cut Kits. 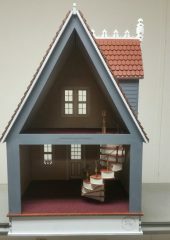 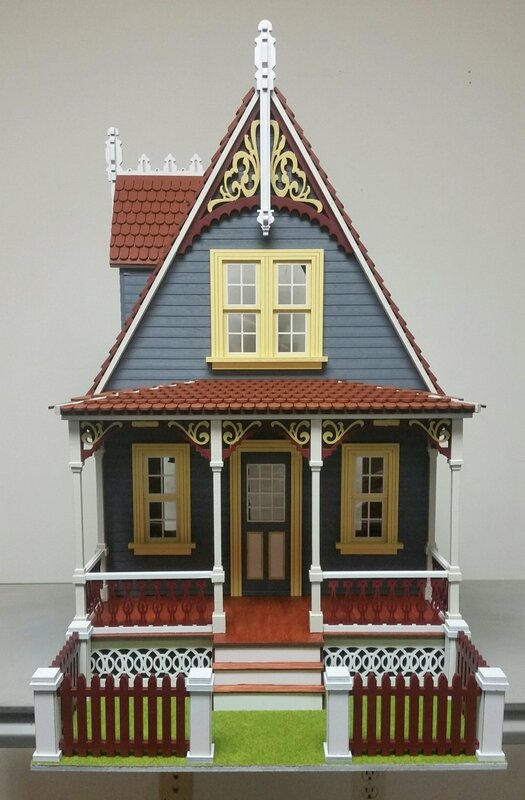 This is a great Cottage that measures 17 inches wide x 26 inches deep and 30 inches tall. 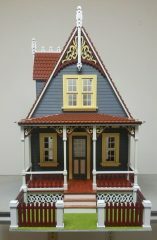 Comes with one working double window, 3 single working windows, working exterior door, detailed porch with 6 porch post, 4 porch rails, porch running trim, an enclosed yard with fence, milled exterior siding, roof gable, detailed spiral staircase with spindles and real chain, roof and dormer crest, porch roof shingles and main roof shingles. 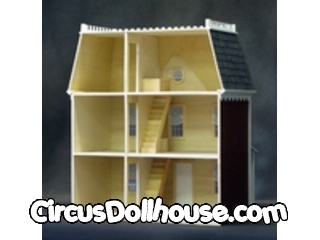 House has 9″ ceiling height and features two large 13×16 inch rooms. 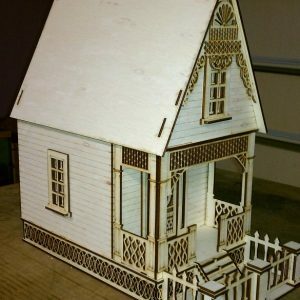 This is a complete kit. 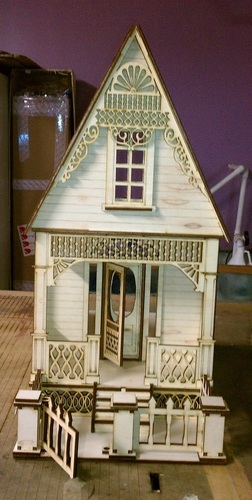 Kit come unassembled and unpainted..